The main reason why fleet owners and managers may neglect to maintain their forklifts is time and cost requirements. When the bottom line is a daily concern, paying for seemingly unnecessary tune-ups and check-ups can seem like a waste of resources. However, not maintaining equipment can cost you more money in the long run. According to OSHA, many of the top accidents involving forklifts are due to workers with improper training. Tips overs are some of the most expensive accidents that occur on work sites. They can often be prevented with forklift certified workers who have been taught how to recognize and avoid hazards. 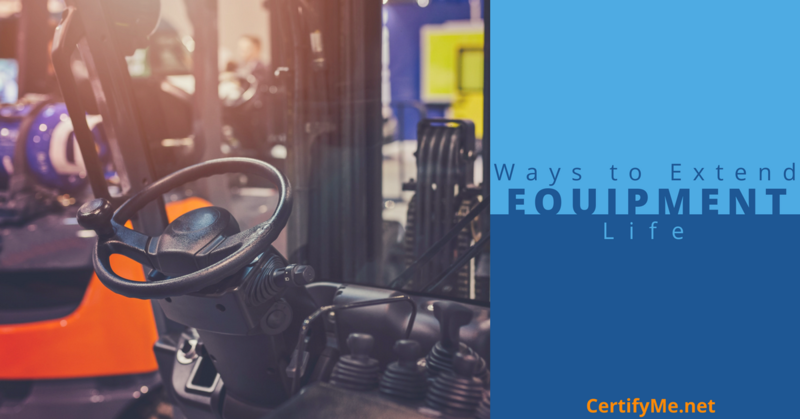 Other common accidents involving forklifts are falling objects onto the forklift, crashes, collisions, and improper loading/unloading practices. Each of these hazards has costly ramifications, including damages to the lift itself, damages to other equipment and structures, and medical compensation costs for injuries. 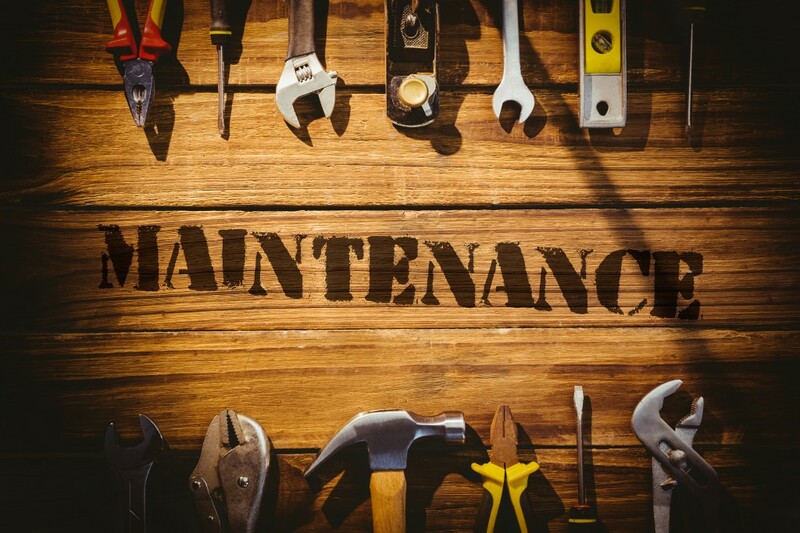 Untrained workers are also generally ignorant regarding proper maintenance check-ups and pre-inspections which can lead to accelerated aging of equipment. After all, even seasoned operators need refresher training. In addition to initial operator training, every worker should receive renewal training and re-certify at least every three years to best keep up with the demands of the evolving workplace. CertifyMe.net is an online forklift certification platform that offers 100% OSHA-compliant training that only takes about one hour to complete. And the best part is, the cost of training is only $59.95 per worker; compare that with the price of replacing a forklift. Warehouse floor managers should set up a communication system with operators that requires them to notify the manager as soon as they notice a change in a forklift’s appearance and/or operating capabilities. This ensures that issues are handled as soon as they arise, rather than having to pull a forklift from duty and lose valuable production time due to serious issues. Daily reporting can potentially save fleet owners thousands of dollars that would otherwise go to chronic damages. When it comes to taking care of the equipment, the manufacturer’s instructions know best. It is important for operators to keep this information handy at all times to identify issues quickly and effectively. Operators should carry their manual with them and inside their forklift so they can easily reference it when performing basic fluid and attachment checkups before the start of the day. The operator’s manual will also give important information about the loading and unloading capabilities of the forklift, and what the maximum weight and height limitations are. This information will help operators prevent damaging the equipment. Taking the time to create a scheduled preventative maintenance plan can prevent small problems from becoming large, expensive ones. Keeping prevention at the back of your floor manager’s mind will allow you to schedule routine tune-ups without being blindsided when a forklift needs to be taken out of rotation for major repairs. Here is a basic preventative maintenance list you can easily start using in your warehouse. Predictive maintenance is preparing for repairs before they happen. It should be used in conjunction with preventative maintenance. This can be done by taking into account the service recommendations from the manufacturer and predicting when forklifts will need repairs. You can estimate when parts will wear out depending on the type and extent of their usage. Predictive monitoring can be accomplished manually by the manager or by an automated system. Warehouse managers and fleet owners should start implementing these tips to reap the rewards immediately and long-term. Your bottom line and employees will thank you as you save money on fewer issues, less serious repairs, and safer working conditions. Where Can You Get Quality Forklift Training? CertifyMe.net! While these points are all important for preventing forklift accidents that can damage and reduce the lifespan of your forklift fleet, operator training remains the essential first step. Check out the online forklift classes from CertifyMe.net. Each of our online courses can be accessed from any device with an internet connection, taken at the pace of the operator, and ensure every operator is OSHA-compliant. Operators will receive all of the information they need to properly operate forklifts, perform daily equipment inspections, be able to recognize and avoid hazards, and help extend the lifespan of the equipment. Purchase the training you need today, or contact us with any questions you may have!